Need an easy activity for Thankfulness/Thanksgiving ? This collaborative Class Book in Google Slides™ is a great way to get your students excited about writing. 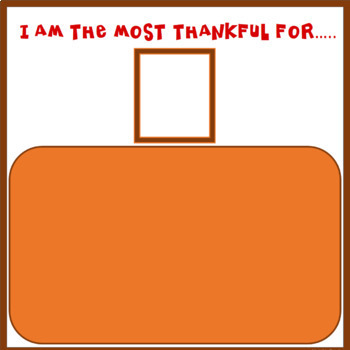 This product includes two writing prompts you can pick asking students to write about what they are thankful for. I have included two different picture page versions. You can choose which one you prefer-- you will need to-- duplicate the writing prompt slides per the number of students you have. I have also included fall themed clip art that students can use to decorate their scrapbook pages.